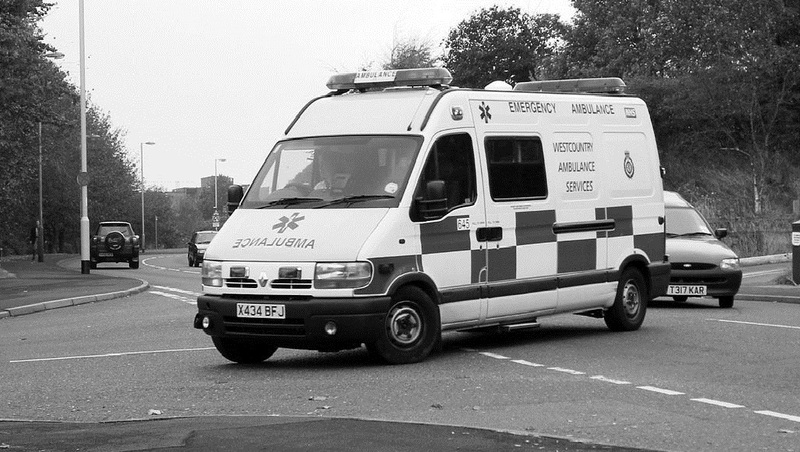 "Westcountry ambulance" by Graham Richardson, used under CC BY 2.0 / Desaturated from original, with colour filter. NHS hospitals in England are rarely closed in constituencies where the governing party has a slender majority. This means that for near random reasons, those areas have more competition in healthcare – which has allowed the authors to assess its impact on management quality and clinical performance. Throughout the world, the share of national income absorbed by healthcare seems to rise inexorably. Technological progress, rising citizen expectations and an ageing population have all helped to propel this escalation in costs. In the United States, almost one dollar in every five is spent on health. In an era of budgetary austerity, policy-makers have been searching desperately for ways to improve the efficiency of healthcare delivery without jeopardising the quality of clinical care. Nowhere is this greater than in hospitals, which are a major component of total healthcare costs. To an economist, a natural method of improving efficiency is through competition. If patients had more effective, well-informed choice between hospitals, then wouldn’t managers work harder to improve services to attract them? But, it is traditionally argued, ‘healthcare is different’ because of multiple market failures. For example, patients typically have poor information about hospital quality and are also unwilling to travel far for healthcare; local doctors are sometimes subject to conflicting incentives; and healthcare is heavily regulated with services often delivered directly by the public sector. 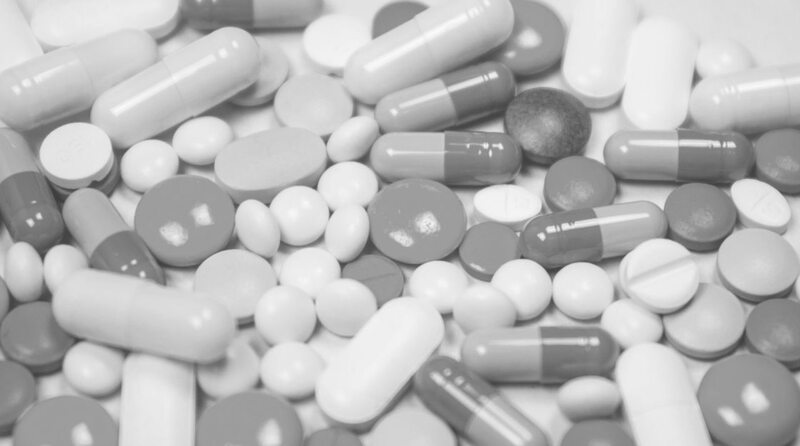 Nevertheless, there has recently been a wave of reform in the public services of many countries to create ‘quasi-markets’ and inject greater degrees of patient choice. In work with Carol Propper and Stephan Seiler, we evaluate whether competition improves hospital quality, particularly by stimulating greater managerial effort (Bloom et al, 2015). We do this in the context of the acute care hospitals in the NHS. In the 2000s under the Labour government, resources followed patients and publicly run NHS hospitals had to attract patients to obtain such resources. But since the prices for hospital services were centrally set, the only way hospitals could attract extra patients was by improving quality. Helped by their GPs, patients were given the choice of at least five hospitals and much better information. Since people dislike travelling far from where they live, hospital competition has a strong geographical element. If competition works, then it should do so more in those areas of the country where there are many hospitals to choose from rather than a single monopoly provider. There are two major challenges in addressing the question of whether having more hospital competition really improves management. First, how to design an ‘experiment’ that randomly generates more hospitals in some parts of the country than others; and second, how to measure management quality. The institutional features of the NHS provide a natural experiment for hospital market competition. Entry and exit of hospitals is centrally controlled by the Department of Health and over the last 40 years – and in particular since the mid-1990s – there has been an attempt to reduce the number of hospitals and consolidate services in a smaller number of larger hospitals. Changes in population and demographics are a key consideration in making decisions about how to reconfigure these services. But politics also matters. Closing down a hospital is highly controversial as local people will usually fight hard to keep it open. A vivid example of this was in the 2001 General Election when a government minister was overthrown by a politically independent physician, Dr Richard Taylor, who campaigned on the single issue of ‘saving’ the local Kidderminster Hospital, which the government planned to scale down. Figure 1 shows the number of hospitals in 2005 per head of the population in English constituencies in relation to their political marginality in the 1997 election. There is a surprisingly large number of hospitals in the areas where Labour won or lost with a voting margin of 5% or less. And this relationship holds even after a large number of controls for the area is included, such as income, demographics and population density (the first bar of Figure 2 shows that areas that were marginal had over a standard deviation more hospitals than those that were not marginal). Notes: This figure plots the mean number of hospitals per one million people within a 15km radius of the centre of a political constituency against the ‘winning margin’ in 1997 of the governing party (Labour). When Labour is not the winning party, the margin is the negative of the difference between the winning party (usually Conservative) and Labour. The margin is denoted ‘x’. There are 529 political constituencies in England. The second question is how to measure hospital management. We build on a method for quantifying core aspects of management quality that we first used in 2004 for 732 manufacturing firms in four countries (Bloom and Van Reenen, 2007). Since then, the World Management Survey has been expanded to over 20,000 organisations in multiple sectors in 35 countries. For hospitals, the core of our dataset is made up of 18 questions, which can be grouped into the following sub-categories: operations and monitoring (six questions); targets (five questions); and incentives management (seven questions). 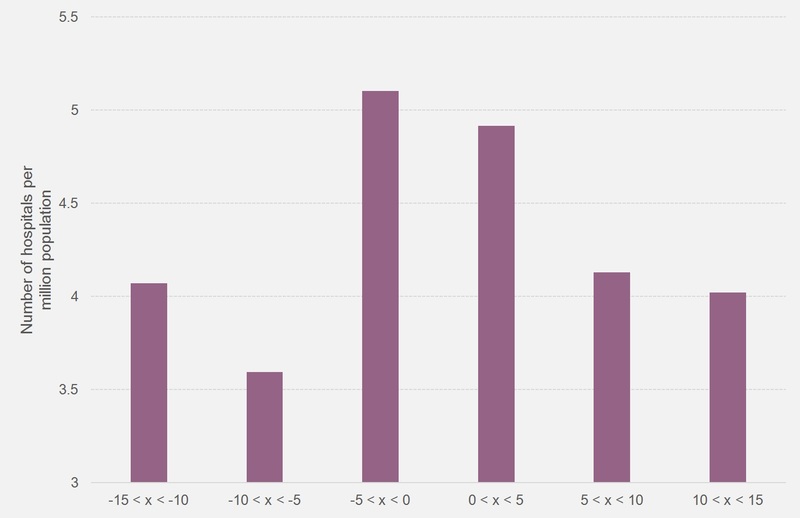 For each of the questions, the interviewer reports a score between 1 and 5, a higher score indicating a better performance in the particular category. To try to obtain unbiased responses, we use a double blind survey methodology. The first part is that the interview is conducted by telephone without telling the respondents in advance that they are being scored. This enables scoring to be based on the interviewer’s evaluation of the hospital’s actual practices, rather than their aspirations, the respondent’s perceptions or the interviewer’s impressions. To run this blind scoring, we use open questions (‘can you tell me how you promote your employees?’) rather than closed questions (‘do you promote your employees on tenure – yes or no?’). Furthermore, these questions target actual practices and examples, with the discussion continuing until the interviewer can make an accurate assessment of the hospital’s typical practices based on these examples. The second part of the double-blind scoring methodology is that the interviewers are not told anything about the hospital’s performance in advance of the interview. This is collected post-interview from a wide range of other sources. We interview respondents for an average of just under an hour and approach up to four individuals in every hospital – a manager and a physician from both the cardiology and orthopaedic services. We obtained 161 interviews in 100 acute hospitals and the response probability was uncorrelated with performance and other hospital characteristics. Our management quality index built from averaging these 18 questions was strongly correlated with a range of measures of clinical performance (such as surgical survival rates), productivity and staff satisfaction. This is not causal, but suggests that the questions have useful informational content. 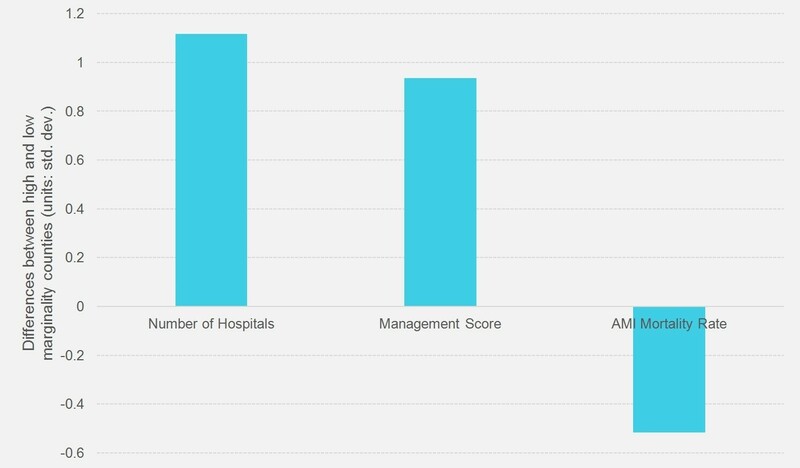 Overall, we find that hospitals that faced more competition had significantly higher management scores and better clinical and financial performance. Using the random variation in the degree of competition generated by political marginality actually made this relationship stronger. This is likely to be because it is harder to attract good managers to work in areas that are poor and ageing – exactly those areas where health demand and the number of hospitals per head are relatively large. The magnitude of the competition effect is sizeable. For example, we estimate that adding a rival hospital increases management quality by 0.4 standard deviations and increases survival rates from emergency heart attacks by 8.8%. An illustration of this is in Figure 2: comparing areas that are marginal with those that are not, we see that the politically marginal areas had higher management quality (middle bar) and much lower death rates (right bar). Notes: This figure plots the differences between high and low marginality counties (split at the median of marginality after controlling for the baseline regression covariates). All three measures control for many other factors (they are residuals from a regression on these covariates) to strip out the effects of demographics, teaching hospitals, being located in London, etc. 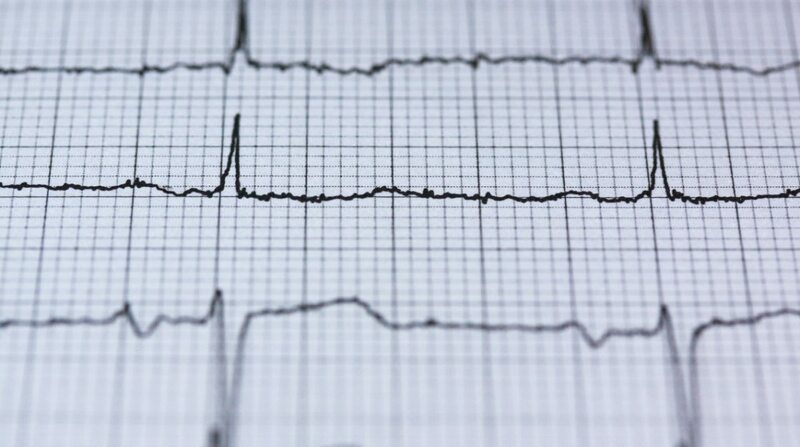 The difference between low and high marginally is statistically significant at 1% for the number of hospitals and management; and at the 10% level for heart attack mortality rates. We confirm the robustness of our empirical strategy to ‘hidden policies’ that could be used in marginal constituencies to improve hospital management and to changes in capacity that may follow from hospital closure. One concern is that marginality might have direct effects on hospitals through other routes than competition. We show that this is not the case – there is a national funding formula and we confirm that marginality has no effect on financial resources per hospital. Because hospital markets are overlapping, we can even implement a tough test that puts in marginality around a hospital and just uses variation in marginality around its rival hospitals to identify the competition effects. We confirm the absence of such hidden policies associated with political marginality. Competition can be introduced into public systems by improving information, giving patients and their GPs choice and having money follow the patients. This is a cheaper way of inducing competition than simply building more hospitals, which is expensive. At the moment, decisions over entry and exit of hospitals in public systems usually ignore the effects of competition. Our work suggests that market structure should not be ignored. The quasi-market in the NHS remains controversial. When our findings on the benefits of competition were first discussed in the media, one of our team members received death threats and had to have security protection when leaving the LSE buildings. The main objection is that the reforms in the 2000s were thought to be ‘privatising’ the NHS. This is wrong: NHS hospitals are publicly owned hospitals and free at the point of use. Importantly, hospitals are not allowed to compete on price, which is set as a national tariff per treatment type. That leaves quality as the dimension that is open to attract patients. Allowing competition on quality but not price is a safeguard built on experience from the early 1990s ‘internal market’ (Propper et al, 2008), when price competition was briefly allowed and led to cuts in costs but also to reductions in quality (which is harder to observe). Our study also suggests an important role for management. Healthcare is like many other sectors where there is a large role for improved managerial quality to raise performance. Competition is one way but there are others – improved skills (especially choosing chief executives with some clinical experience) and providing better information are two leading possibilities. Nicholas Bloom of Stanford University is a research associate in CEP’s growth programme; Carol Propper is Professor of Economics at Imperial College Business School in the Organisation & Management Group; Stephan Seiler is Associate Professor of Marketing at Stanford Graduate School of Business; John Van Reenen is director of CEP. This article draws on a journal article by Nicholas Bloom, Carol Propper, Stephan Seiler and John Van Reenen, which is forthcoming in the Review of Economic Studies (Oxford University Press). Carol Propper, Simon Burgess and Denise Gossage (2008) ‘Competition and Quality: Evidence from the NHS Internal Market 1991-99’, Economic Journal 118: 138-70. Photo by stux via pixabay, used under CC by 2.0 / Desaturated from original with colour filter. There is considerable geographical variation in the use of healthcare by beneficiaries of Medicare, the US federal health insurance program for people who are 65 or older. This research explores the extent to which regional disparities are driven by the providers, whose use of expensive tests or procedures might vary across different places, or by the patients, who might have different healthcare needs and preferences. Analyzing data on Medicare beneficiaries who have migrated from one part of the country to another, the study finds that patients and providers account for roughly equal shares of the differences in regional spending. The results provide a better understanding of the components of medical costs, adding nuance to the debate about possible inefficiencies in US healthcare spending. Photo by freestocks.org, used under CC by 2.0 / Desaturated from original with colour filter. A central question in the US debate over privatized Medicare is whether increased government contributions to private plans generate lower premiums for consumers or higher profits for producers. This research finds that insurance companies pass through 45% of higher payments in lower premiums and an additional 9% in more generous benefits for those who enroll in Medicare Advantage. Since the findings also suggest that the less than full pass-through is a result of insurer market power, efforts to make markets more competitive may be key to increasing the pass-through to consumers. "Health insurance claim paperwork" by franchise opportunities, used under CC by SA 2.0 / Desaturated from original with colour filter. In evaluating health insurance mergers recently proposed in the U.S., regulators have grappled with the costs and benefits of reduced insurer competition. Our study examines the direct and indirect effects that a reduction in the number of insurers has on premiums, provider reimbursement rates, and consumer welfare. 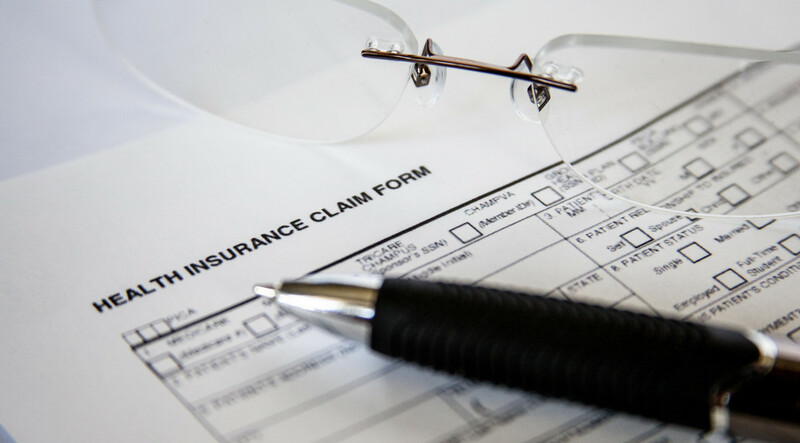 Using detailed health and enrollment data and focusing on a part of the commercial health care market, we examine whether consumers are typically harmed when an insurer is removed from the market. Absent premium setting constraints, we find that premiums typically rise, and consumers are generally harmed as they suffer from having fewer options. However, we also find that the reimbursement rates negotiated by hospitals need not always increase, and in many cases, can actually fall.